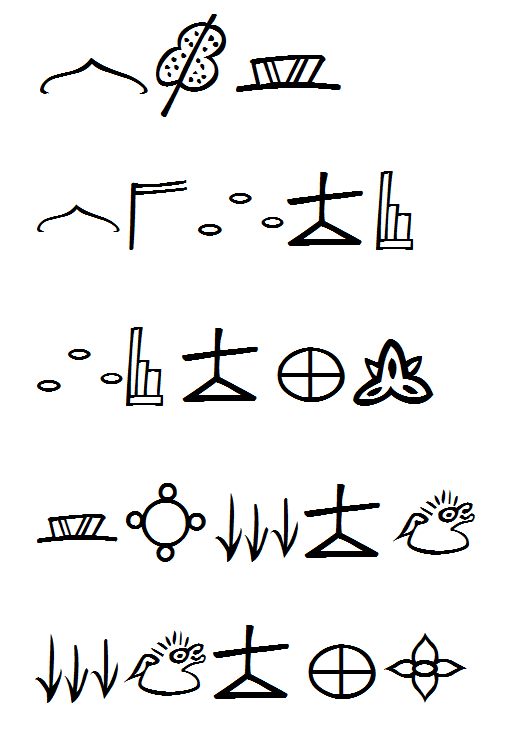 Here’s a short reading from a Dongba scripture: Heaven and earth, and which appears in the book Tongsu Dongbawen 通俗东巴文 ‘Popular Dongba Script’, by He Limin. Written from left to right. Now listen to the Naxi, as read by Li Jingsheng, native of Lijiang, and distinguished Naxi researcher. The first three characters (the title: Heaven and earth) are not read. the stars shine bright today. the grass is green today. Translation: In the high heavens, the stars appear. Translation: the stars shine bright today. Translation: the grass is green today.